Our ideal happy hour takes place around a blazing campfire and the best pairings have to hold up to burnt s’mores and roasted smart dogs. It seems like I should feel some kind of struggle as a foodie/chef and outdoorsy escapist when balancing the desire for gourmet and the need for light packing and minimal ingredients. Yet, anyone who is really passionate about food knows that a few amazing ingredients cooked well, will always outshine complicated dishes that have too much going on. Instead of packing an entire spice cupboard, I try to preseason dishes we plan to cook. I usually only bring sea salt and black pepper grinders, garlic, and sometimes red pepper or mixed italian seasoning. 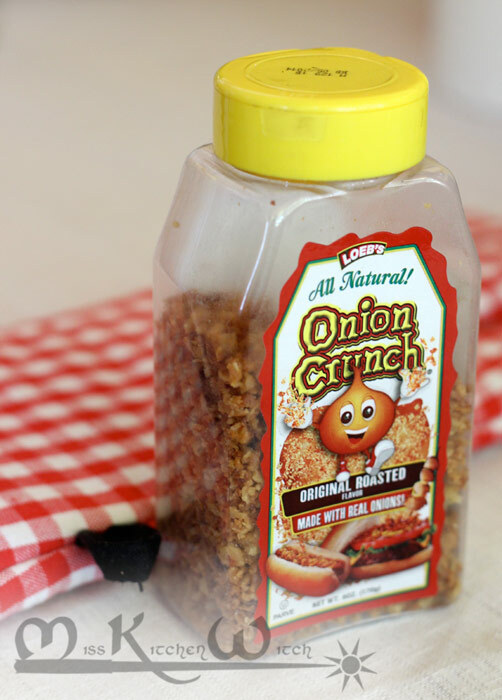 This last trip we made a fun discovery using Monkey Man’s container of Onion Crunch. When eaten plain, it tastes like funyuns. Monkey Man loves that type of thing—salty, crunch, etc. I was super excited about how Onion Crunch came out in campfire food. The funyun taste mellowed out, cooking down to a more mild onion flavor with fat for a nice nonstick effect, smokey taste from the fire, and a wee bit o crunch. It’s a small, light, easy thing to pack that really perks up tasty foil dinner packs. We highly recommend this product for camping trips—plus it’s certified vegan! Cut potatoes in to steak fry strips and toss with the rest of the ingredients. 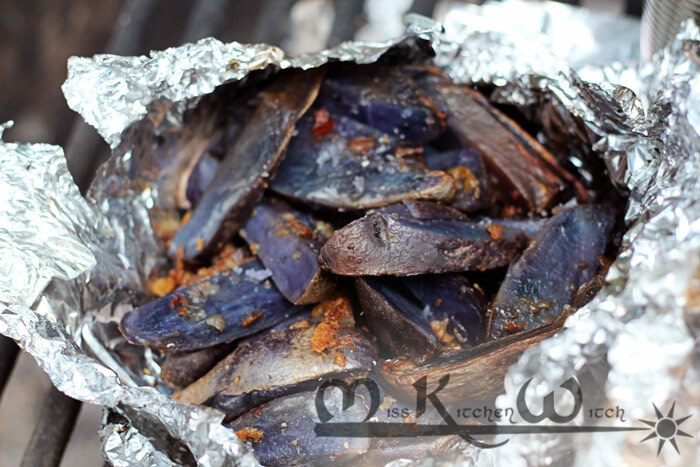 Pour on to a piece of heavy duty foil and fold the foil into a pocket around the potatoes. Carefully place the packet onto or near some white hot coals/wood in your fire. 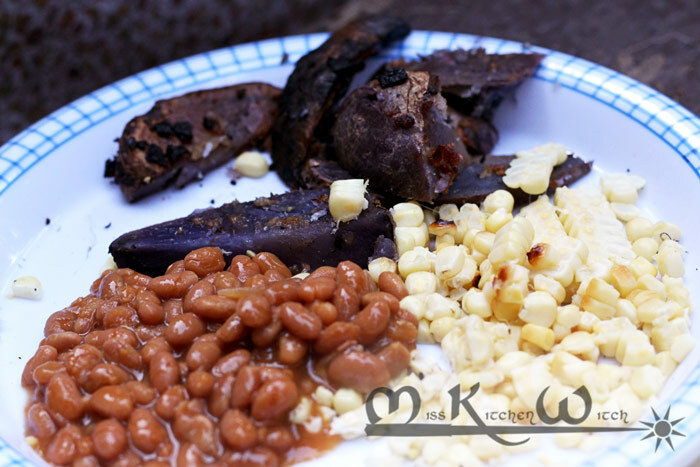 Cook for about 30-40 minutes, turning or moving about halfway through so that one side doesn’t char while the rest is still cooking.